The Leatherhead Community Garden project is now up and running. Details of the project can be found on their website: www.leatherheadcommunitygarden.org.uk . If you want to learn more about organic growing then this is the place. There are working parties every Saturday in October, November and December (excluding Christmas). All the work parties will start at 9am and finish around 3pm. Helpers are free to come along at anytime during these hours. We are a local singing ensemble. We have performed at the Leatherhead Day Centre as well as other venues around Mole Valley and beyond. From the proceeds of our shows we have donated substantial sums to charity. The next meeting regarding Epsom Hospital is to be held on WEDNESDAY,11th November at Epsom Town Hall at 7.30pm. This will outline “the vision for the Epsom Hospital Site”. We did learn that in Mole Valley, it is 17.2% of the population that smokes – yes, we’re far better than England as a whole & are even below the Surrey average. But here’s the rub: whereas it’s only 13.5% in leafy Leith Hill, it’s a whopping 27.9% in North Leatherhead (that’s above the average for England!). There was a bit of discussion afterwards about what to do in North Leatherhead – but, as far as I could make out, nothing about the underlying social problems that give rise to the problem in the first place. Just over half an hour later, Allan Berridge updated us on Neighbour Watch and Sergeant Simon Cox gave police reports for North & South Leatherhead and for Ashtead. By 8.44 we were ready to listen to the presentation: “Strong Leader/ Elected Mayor – which model?” Apparently, after introducing the current ‘Executive model’ in March 2008, the 2007 Act requires up to change this to either a “Strong Leader” or “Elected Mayor” model. Wait about! Didn’t 2007 come before 2008? So if it was already known that we’d need to change to one of these two models, why did we bother to introduce the Executive model in 2008? Why not leave things as they were while we decided the model to go for? Also, as I read the title of the talk I could not help wondering why a directly elected mayor was not a strong leader. In fact the more I heard, the more I wondered about the “strong” leader; this leader would be elected from the Councillors by the Councillors – in effect, it means, unless we have a hung Council, from the ruling party by the ruling party. Doesn’t that make the “strong” leader a creature of the Council and probably of a political party as well? The powers and functions of both a directly elected mayor & of a Council elected “strong” leader would be much the same: “determine functions delegated to other Cabinet Members, committees of the Executive or officers; determine the size of the Executive; appoint/ remove Executive members.” So who, dear reader, will be more effective: a Council elected leader or one elected directly by the people of Mole Valley? After this presentation the meeting was asked to vote on whether they wished to continue the present arrangement of electing a third of MVDC each time, as at present, or to have a singled election every four years to elect the whole Council in one go. Yes, folks, you’ve read aright! We were not asked for a straw poll on the “strong leader” ~ directly elected mayor business that we’d been discussing for nearly three quarters of an hour; we suddenly had sprung on us a straw poll on a different issue. It was pointed out by several members from the floor that we had not discussed the pros and cons of the present system vis-a-vis the one-off election, so what would be the validity of such a vote? What indeed! By this time it was fast approaching 9.30, when we got to the next item: “Public Question Time.” Our LRA planning officer was allowed to ask a question about the recent decision to allow Nos. 52-56 Church Street change of use from retail premises to restaurant. But after this had been answered, it was deemed that we had run over time and no more public questions could be asked. So much for consultation with the public! How much consultation was there about matters to do with Leatherhead (or, indeed, Ashtead)? We learnt that more people smoke in North Leatherhead then the national average. We heard police reports that are made, in any case, at police panels in North & South Leatherhead and in Ashtead and, if I am not misaken, at the Leatherhead & District Forum. We heard about the “strong leader” ~ directly elected mayor business, which will affect the whole of Mole Valley. Then we were allowed one question only. 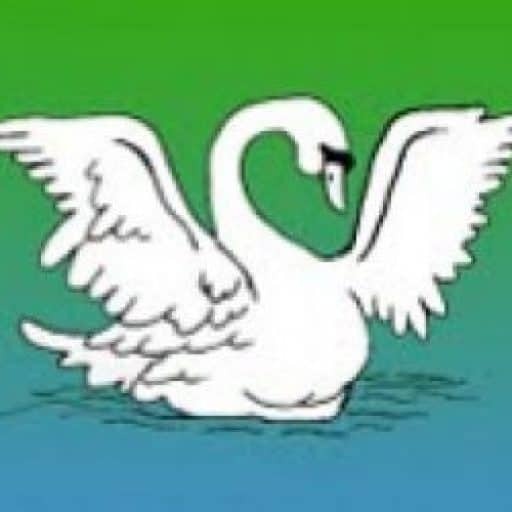 Which is a more genuine forum for real consultation: a Council controlled ‘area Forum’, or the Leatherhead & District Forum which has evolved from grass roots level over many years? Yet our Council refuses to recognize the latter. If MVDC really wants to save money, why not scrap the Leatherhead-Ashtead and Bookham-Fetcham area fora, which the Residents’ Associations never wanted in the first place, and have proper consultation at the Leaherhead & District Forum? Amid all the publicity surrounding swine flu, it is important not to under estimate the impact of seasonal flu. Every year it accounts for approximately 8,000 deaths. It can bring on serious complications for people in “at risk” groups and lead to other serious illnesses such as pneumonia. * a problem with, or removal of, their spleen e.g. sickle cell disease. In those circumstances you should stay at home, keep warm and rest, let a member of your family or friend know that you are ill, drink plenty of liquids and eat what you can. If you are in an at risk group or your symptoms get worse and you have chest pains or experience shortness of breath, you should contact your GP. Seasonal flu peaks each winter between December and March, which is why the Department of Health and (insert your user group name if appropriate) is urging those in the at risk groups and those aged 65 and over to make sure they get their free jab now before flu starts to circulate. A new telephone scam has started where people are called and told they will be disconnected due to an unpaid bill by someone pretending to be a BT representative. The ‘rep’ then asks for payment over the phone using a credit/debit card and when this is declined, they offer to demonstrate that they are genuine by asking the person to hang up and try phoning somebody and the ‘rep’ will prevent this by disconnecting the line. To do this, the ‘rep’ stays on the line with the mute button on so the person cannot dial out and believes they have been disconnected and then the ‘rep’ cuts off the call (because the person who initiates a call is the one to terminate it) and immediately calls the person back. The ‘rep’ is unfazed by people saying their phone is with a different provider to BT and responds saying that all providers have to pay a percentage to BT for line rental. A false number for BT – 0800 0800 152 – is also given. Please ensure you are aware of this scam as there have been a number of cases and its simplicity could easily fool people – some people might not even realise they have been tricked until it is too late and victims have given out their credit/debit card details. Doubtless many residents have already seen notices on lamp posts in certain streets concerning Surrey County Council – District of Mole Valley proposals for the above. Epsom Road, Oak Road, Linden Road, Leret Way, Garlands Road, Kingston Avenue, By-Pass Road, Oaks Close, Poplar Road, Randalls Road, Windfield, Kingston Avenue, Park Rise, Minchin Close. A copy of the proposed Orders, together with plans showing the lengths of roads to which those Orders relate and a statement of the Council’s reasons for proposing to make these Orders, together with a statement of the Council’s Guidelines for the Acceptance of Objections to the Traffic Regulation Orders, may be inspected free of charge at the Help Shop in the High Street, at Leatherhead Library and at MVDC Administrative Centr, Pippbrook, Dorking. Anyone wishing to object to the proposed Orders must send in the grounds for objection in writing to J Russell, Head of Surrey Highways, at County Hall in Kingston (quoting ref. 21684/MV/AK) by 12th November 2009. There will be an opportunity to air views at our Open Meeting on Monday, 2nd November; the matter will also be discussed at our Committee Meeting on 4th November. These proposals, if implemented (possibly with revision in some case) will no doubt improve matters in some roads; but many of us fear it will only push the problem into other roads. It is the opinionof many of us that a comprehensive review of the parking problems of the Leatherhead area as a whole is long overdue. .…. * N E W S F L A S H * …..
WITH THE POLICE FEDERATION’S VERY OWN QUIZMASTER ! If you’ve a talent for trivia, now’s the perfect time to put it to good use ! TEAMS of SIX are invited to compete for the highest score in our Fundraising Quiz Night … but don’t worry if you’d love to take part but can’t field a full team or would like to come along alone … we’ll be delighted to introduce you to fellow competitors and make you part of a full team. Entry Fee is £10 per person … which includes a delicious Fish Supper ! *PRIZE RAFFLE* tickets will be on sale, and the winning numbers will be drawn during the evening. on: 01372 383018 or via: andy@andynewbold.com. 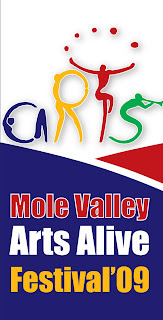 Don’t forget that this year’s Mole Valley Arts Alive festival is taking place right through this month. If you’ve missed the first week, make up for it in the next three weeks! There are many events taking place right here in Leatherhead; and other events not too far away. Many of your fellow residents are taking part in these events – give hem your support. Don’t know what’s on? Take a look at www.arts-alive.co.uk.